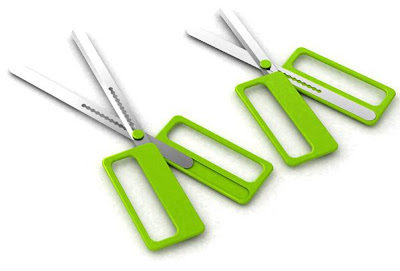 Collection of 'Creative Scissors and Cool Scissor Designs' from all over the world. Magnetic Scissors: This awesome tool's head has power-magnets in their internal seam that uses the repel action for easy snipping. 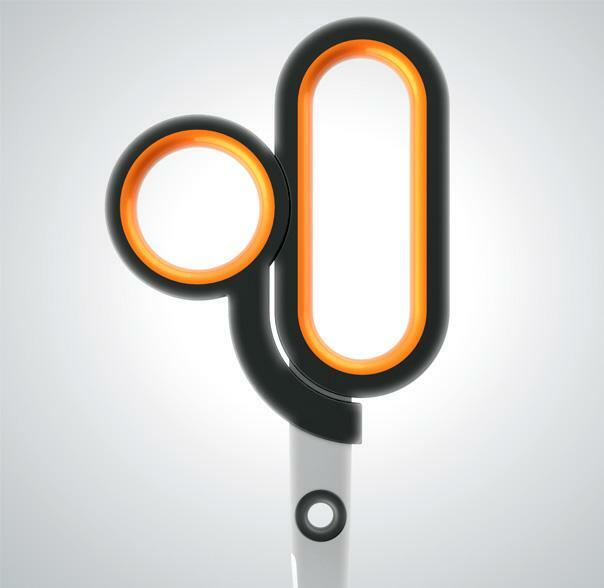 And at the flick of a button you can change the polarity to keep the blades secured in place. 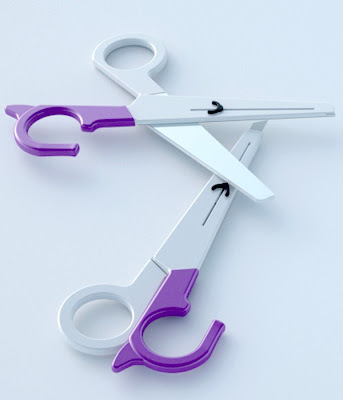 Freecutter: Its a combination of cutter and scissor; in this clever tool the cutter blade pulls back into one of the scissor blades. 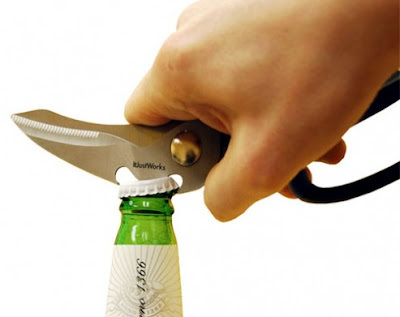 Smart Sizzors: It's a multi-functional scissors that can open bottle caps, cuts variety of stuff (meat, cords, fabric, and many more) and opens nuts too. 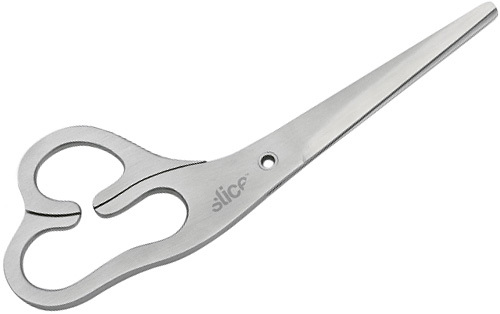 Scalable Scissors: These scalable scissors can be pulled back, can extend and contract to cut almost any size. Pen Scissors: It has a compact design that looks like a pen that allows easy storage. 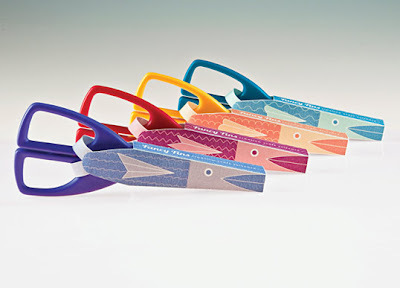 Lay-Flat Slice Scissors: These lay-flat scissors are friendly to both lefties and righties. 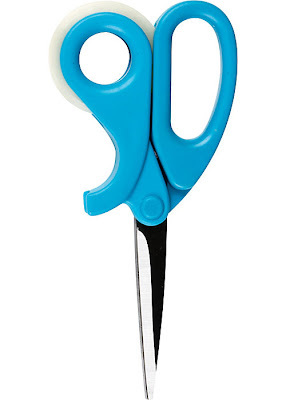 Scissor Tape: This cool scissors keeps the taperoll around for quick gift wrapping. Decorative Craft Scissors: Designed by Melissa Ginsiorsky, these decorative craft scissors are sure to interest artistic youngsters. 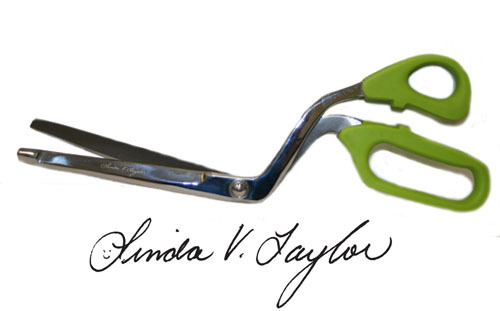 Batting Scissors: Linda's batting scissors are designed to allow you to cut batting efficiently and smoothly. 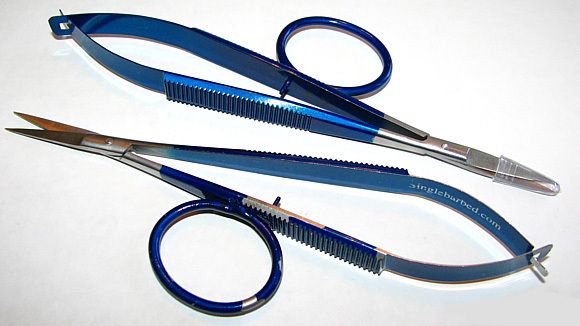 Scissors by Singlebarbed: This scissors can be held comfortably in your palm using the loop that allows you to hold it while arranging and winding material onto the hook. 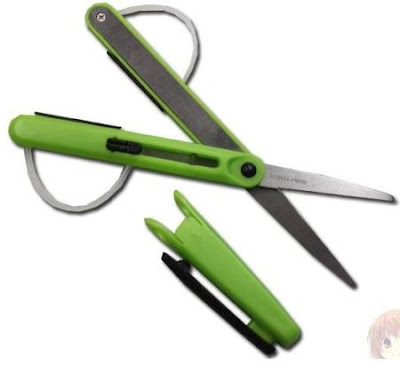 Mini Scissors: These mini scissors measures 4.5 centimeter long. 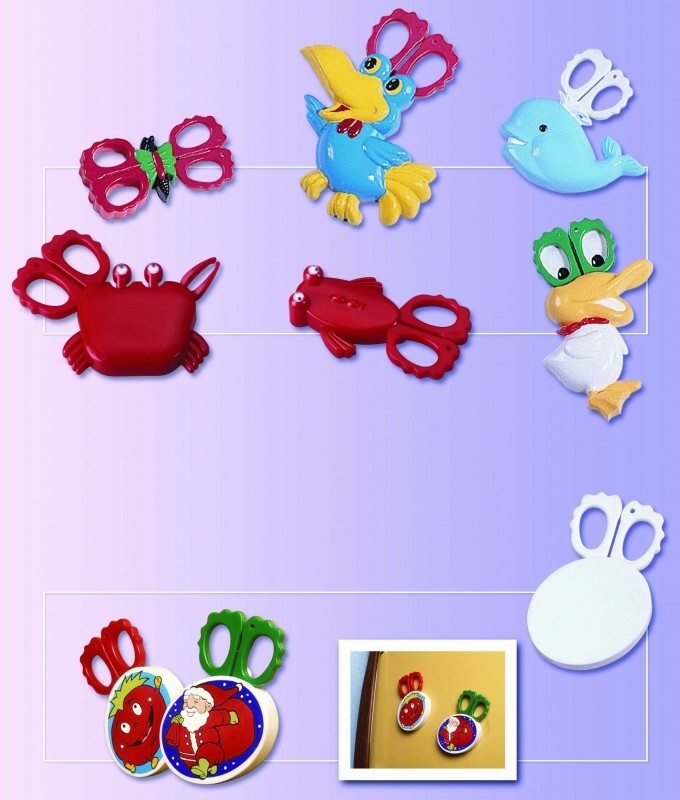 Mini Scissors: These creative mini scissors comes with a magnet on the back of its cover that can be used for sticking messages on fridge door. 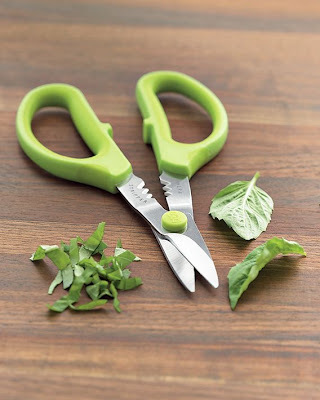 Green Herbs Snips: These scissors make it easy to cut fresh herbs for soups, salads and other dishes while retaining herbs' flavorful essential oils. 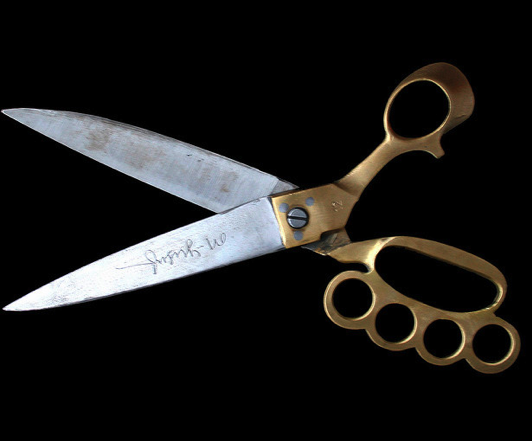 Don't miss to check out "Creative Scissors and Cool Scissor Designs - Part: 1| 2."